Patients, visitors and staff can no longer smoke anywhere on our sites. This includes gardens, car parks and doorways. And there will no longer be designated smoking areas on any of our sites. This includes e-cigarettes. The exception to this is inpatient wards where patients will be allowed to use disposable e-cigarettes. We’ve done this for a number of reasons. Firstly, people with mental health problems are more likely to smoke, and to smoke more heavily, than other people and this is one of the reasons that why tend to have poorer physical health and a lower life expectancy. We want to help reduce this inequality by creating a smokefree environment for everyone. This is in line with National Institute for Health and Care Excellence (NICE) guidance which recommends that all hospital sites, including mental health hospitals, should be completely smokefree. The smoke from cigarettes and cigars also reduces the effectiveness of some types of medication meaning larger doses are required compared to that needed by a non-smoker. 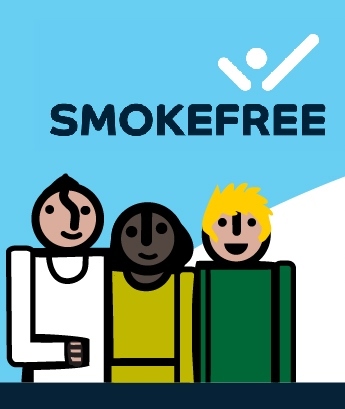 And overall, going smokefree helps us create a healthier environment for everyone. It will prevent services users, staff and visitors from being exposed to second hand smoke, which can kill, cause disease and lead to health problems. There is lots of support available to patients who smoke to help them during their stay or visit to our sites. Whether you want to kick the habit permanently or for the duration of your stay with us, our staff are here to support you. If you are a patient or carer please speak to a member of your care team, or you can contact the national smokefree service online at www.nhs.uk/smokefree or by calling 0300 123 1044 (free) to speak to an expert adviser. Further information is available in our leaflet 'We're proud to be smokefree'. We've also put together some frequently asked questions which should answer any queries you may have. If you can't find the answer to your question please contact info@sussexpartnership.nhs.uk.